Microsoft to Build a Windows Phone Handset? It’s almost an obvious thought: Now that Microsoft has built its own console, to great success, and its own tablet/laptop hybrid, to general, if early acclaim, why wouldn’t the company build a phone as well? After all, if the other two moves led to more market share, exactly what Windows Phone needs, why not repeat the action? Now, following the unveiling of Windows Phone 8 yesterday, a longtime Wall Street analyst says Microsoft could be laying the groundwork to make a similar move with Windows Phone. So, a new phone, eh? This is the sort of report that is read well over a morning cuppa, and forgot by lunch. It titillates, but has not other substance. To be frank, given the lay of the mobile landscape, and especially the Windows Phone universe, small as it is, that Mr. Sherlund would have the drop on every other source (no one else is saying this) is a bit fantastic. However, that’s just a single reason why this little story makes no sense. Let’s dig into them. I will do my best to be brief, as this post could drone on for several thousand words if I’m not careful. First up, Microsoft’s relationships with its OEM partners are not made of unbreakable, glittering gold. In fact, some, such as Dell, have already dropped out of the Windows Phone game. That in mind, the idea that Microsoft would risk their ire and displeasure by introducing its own handset or line of handsets is a bit odd. Assuming that the move would lead to, over time, several OEM partners dropping out of the Windows Phone game, and Microsoft would essentially be betting that it can replace them, and more. Not very likely, in my opinion. Even more, assuming that Microsoft did release its own handset, where is it going to put it? The company has worked, and spent, to get its partners’ handsets into carriers’ stores and lineups. If it brought along its own handset, then the firm would have to lessen those pushes, and perhaps even nudge out a phone or two to make room for its own devices. And that, most certainly, wouldn’t help its OEM relationships, especially with, you guessed it, Nokia. All that money, time, hope, blood, sweat, and naturally, tears, that Microsoft has poured into Nokia would be essentially set aside if the company built its own phone. The move would a turning of back on the Finnish giant. Do you see that happening? There is one huge difference between Microsoft’s position in the mobile phone market and in personal computers, and that’s market share. Microsoft is in a position to risk stepping on the toes of its hardware vendors with the Surface tablet because Windows is still the accepted standard for many businesses and consumers. Yes is that the case for Windows Phone? Not at all. This circles back to the ORM question, but it’s also a point of numbers: how many Windows Phone smartphones can the market hold? There would have to be a culling. And last but not least, branding. Here’s a thought: the Surface doesn’t detract from the Windows 8 brand. It adds to it. If Microsoft built a Windows Phone handset, it would have to have a separate name. 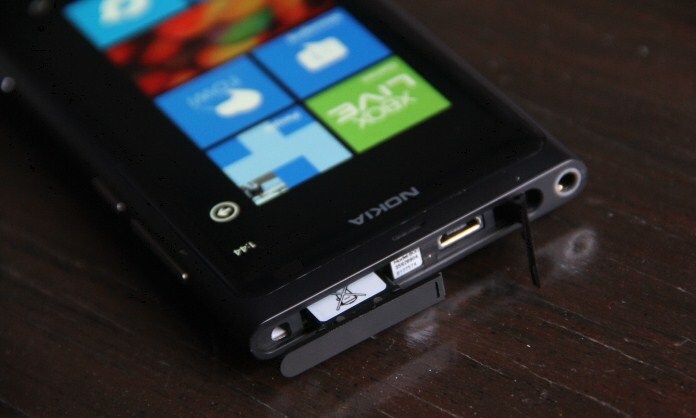 It could not be called Windows Phone 8 Handset by Microsoft. And thus the hardware could overshadow the software, making the entire Windows Phone push nothing more than a Microsoft-led hardware project. That would kill it quickly enough, as other partners left. So, Microsoft has to keep the spotlight on Windows Phone as a brand, meaning that there is scarce space for the company to put out its own hardware. And that’s about why I don’t see this happening, at all. Now, Microsoft could be foolish and build a phone even against logic and reason. I can’t stop them. But it doesn’t look very damn likely.